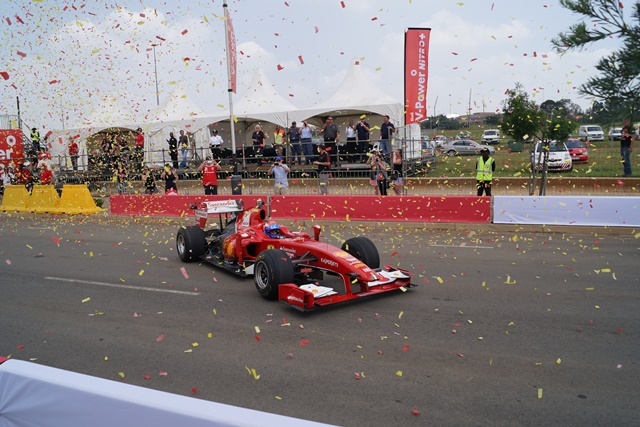 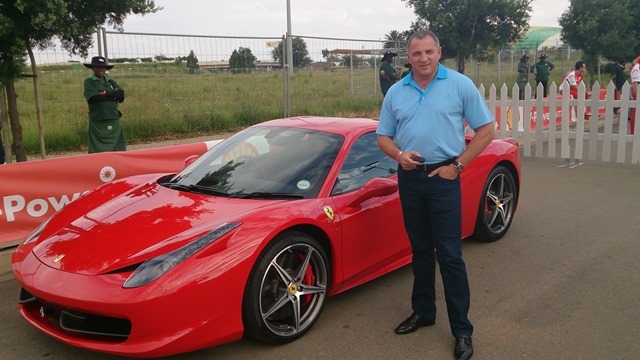 Excitement and spectacle were the order of the day as Scuderia Ferrari returned to South Africa, for its first street demo of 2014, featuring the F60 and test driver Marc Gene, in the Soweto suburb of Johannesburg. 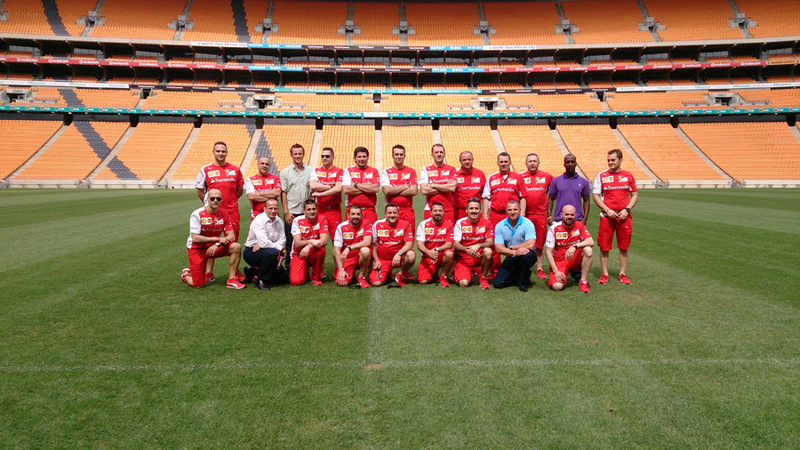 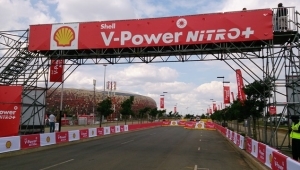 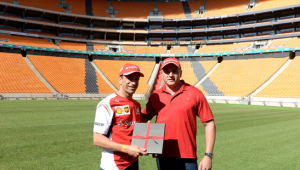 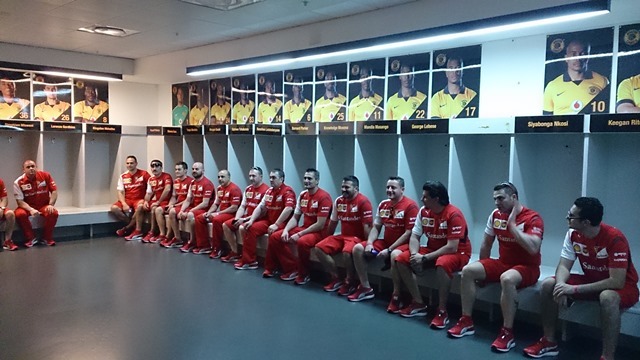 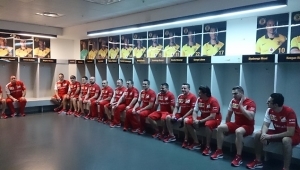 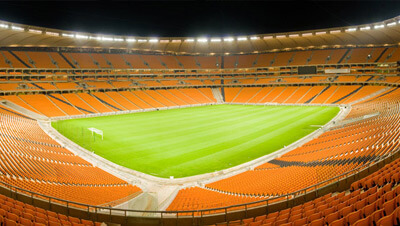 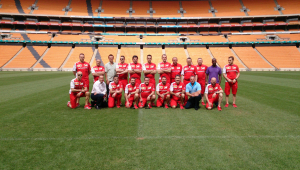 The event was part of the launch of Shell V-Power Nitro+ fuel onto the South African market and a motor show set up on the streets around Soccer City, the stadium that hosted the 2010 football World Cup Final. 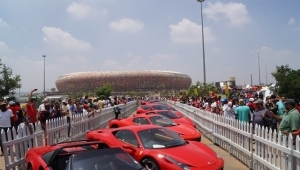 A 1480 metre long track had been created on which Gene put on a show in the morning and again in the afternoon, doing several laps and thrilling the crowd with drag starts and breathtaking slides. 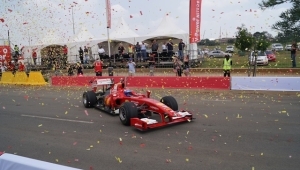 Thousands of spectators turned out to see the car that raced in the 2009 Formula 1 World Championship, rush past just metres away from them. 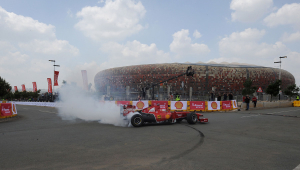 They were clearly amazed by the noise from the eight cylinder Ferrari 056 engine, running at over 17,000 rpm. 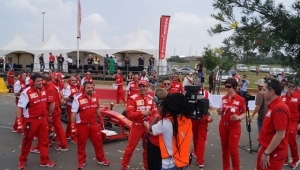 The street demo was rounded off with a series of pit stops carried out by the F1 Clienti crew, who put on a skillful show of the tasks that are normally carried out in the pit lane. 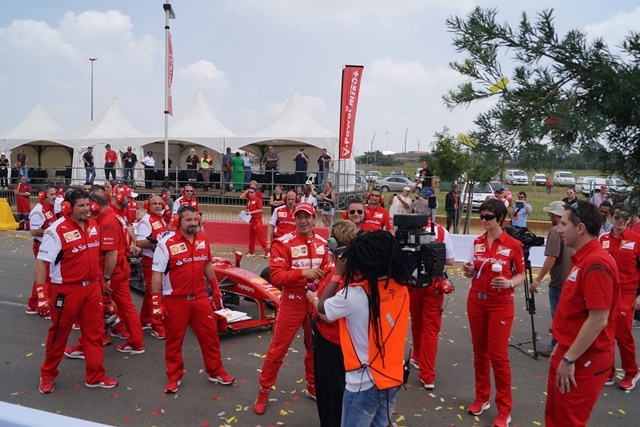 There was an enjoyable break between the two Formula 1 show runs, with a parade of road going Ferraris organised by Viglietti, the importer for the Maranello marque in South Africa. 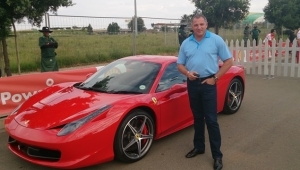 Leading them was a 458 Italia, again driven by Gene. 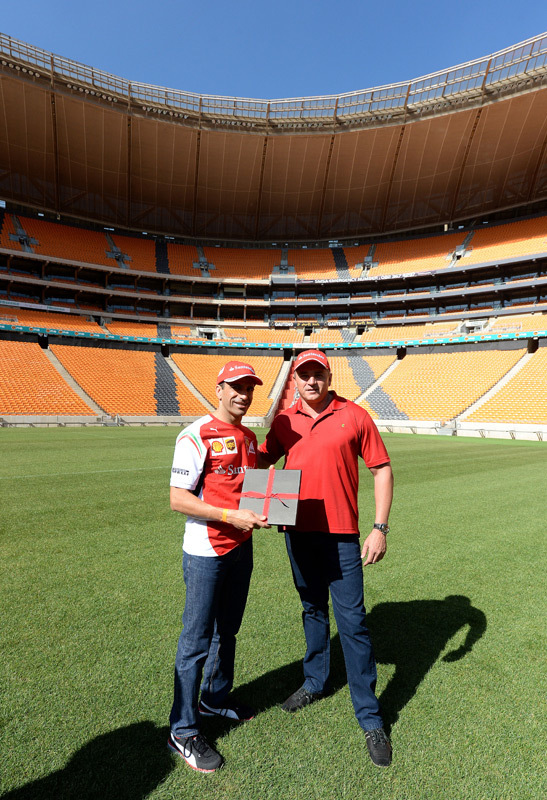 “That was a great day,” Marc said to www.ferrari.com. 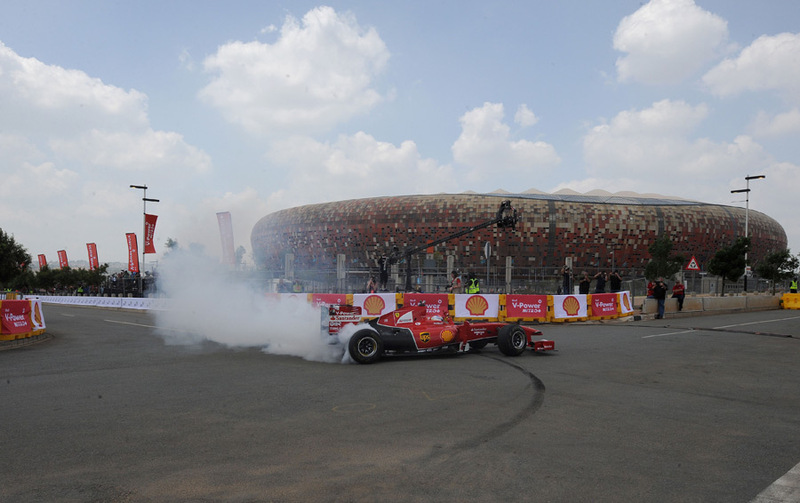 “It’s always fun to bring a Formula 1 car up close to the people, which is something that never happens at a Grand Prix. 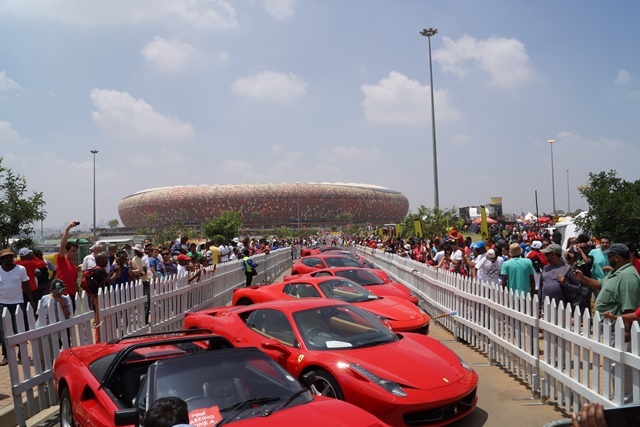 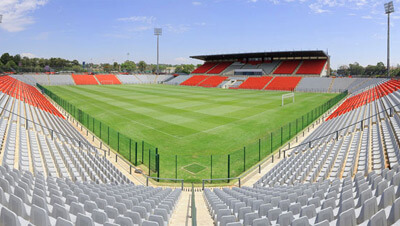 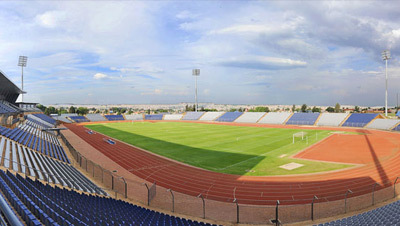 I am pleased to have been able to do this for the South African people, especially the youngest ones, to show them the excitement of these types of car that haven’t been seen in this country for a while.” Before leaving Soweto, Marc also visited the stadium where his fellow Spaniards had won the 2010 World Cup. 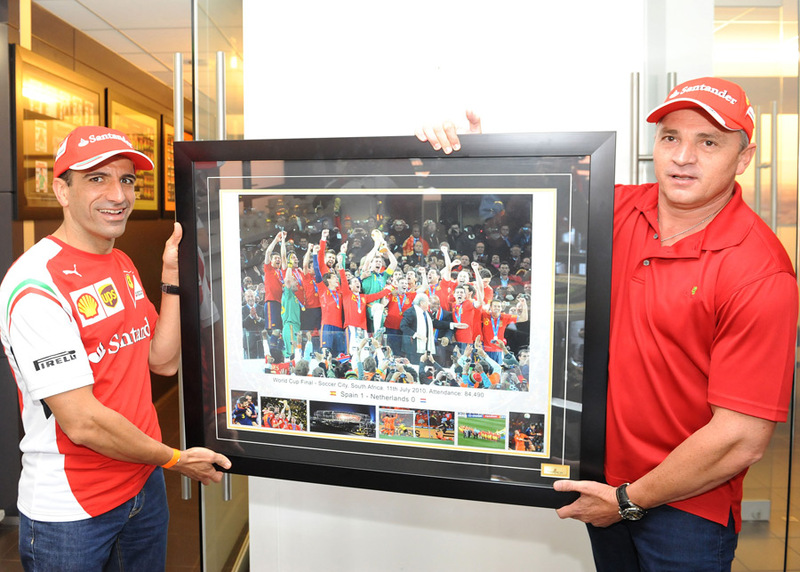 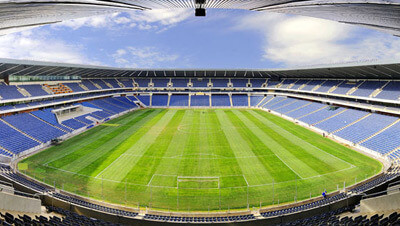 The President of Soccer City, Jacques Grobbelaar, also gave him a photo of that game in which Spain defeated Holland.